Then send an email. A way to do that with just a click click follows. This week Congress is expected to pass a so-called "must pass" Omnibus spending bill to continue government operations for FY 2018. With a Republican majority in both the House and Senate, and now with a supportive president who would not be expected to veto conservative legislation or spending cuts, one would expect this Omnibus appropriations to cut spending and return to limited government under the Constitution, but unfortunately that is not the case. The Omnibus spending bill that the Republican-majority Congress is scheduled to pass, will fund Planned Parenthood, ObamaCare subsidies, gun control legislation, sanctuary cities, and possibly also a large Internet sales tax, according to the Daily Caller citing a GOP aide as its source. Numerous other media outlets including The Hill and Politico have also confirmed this in recent reports. On Monday evening, GOP lawmakers announced that they do not expect the online sales tax to be included in the Omnibus when the House votes on it, as early as Wednesday, however it could still be added back at the last minute. And, the other aforementioned unconstitutional and progressive proposals are still included in the bill. 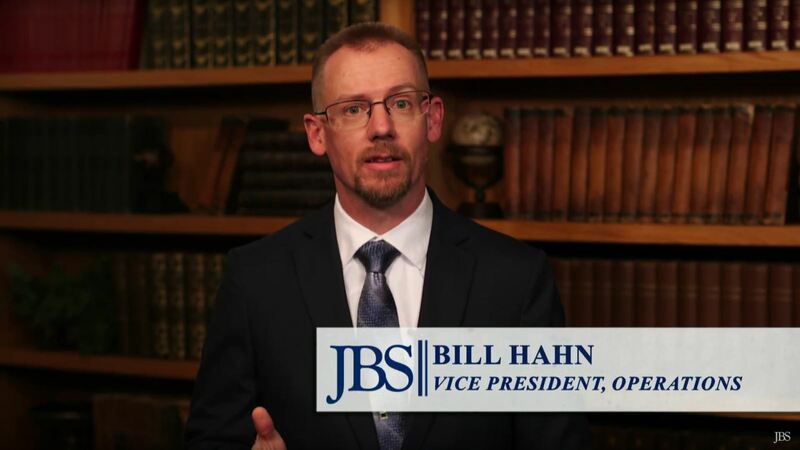 As Bill Hahn, the Vice President of Operations for The John Birch Society, points out in this week's JBS Weekly Analysis Behind the News, instead of lumping everything into one huge and loudly touted "must pass" Omnibus appropriations bill, "Congress is supposed to be passing 12 budget resolutions that originate from a request from the President, which is supposed to happen every February." Hahn continues, "Then Congress debates these and passes them. However, this is only for the discretionary portion of spending, which amounts to be about $1.2 or 1.3 trillion." As Hahn further pointed out, according to Pew Research, this discretionary portion "includes everything from the military and space programs to disaster relief and farm price supports." The remaining larger portion is designated as "mandatory spending," which, at $2.6 trillion, includes "spending on Social Security, Medicare, Medicaid, unemployment compensation and other entitlement programs," according to Pew Research. These 12 budget resolutions are also supposed to be passed by October in order to begin the upcoming fiscal year. However, "in the last 40 years," as Hahn elaborated, "Congress has only passed four of these bills on-time! One in the last 20 years! When bills are not passed on-time, Congress comes up with stop gap measures known as Continuing Resolutions. When they wait too long, then they pile a bunch of these Continuing Resolutions into an Omnibus bill." And this is what Congress is expected to pass later this week. Congressional irresponsibility resulting in ever-increasing, unconstitutional, out-of-control big-government, brought to you this week by the purportedly "conservative" Republican majority Congress. With the Omnibus being sold as a "must pass" spending bill, will lawmakers break their campaign promises and oath of office to pass the bill? There is absolutely nothing conservative or fiscally responsible about this Omnibus bill, and its passage by Republicans would boil down to nothing more than a total betrayal to the American people who voted them into office under the guise of promoting limited government. Instead of letting Congress think it can get away with this fiscal and legislative mess, tell both Congress and President Trump to vote NO and oppose this Omnibus spending bill. Time may be tight for lawmakers, but this bill is not at all acceptable. Instead, encourage both lawmakers and the president to return to limited government in pursuance of the Constitution, as stipulated in Article VI of the Constitution. Phone President Trump (202-456-1111) and ask him to oppose the Omnibus appropriations bill with its funding for Planned Parenthood, ObamaCare subsidies, gun control legislation, sanctuary cities, and possibly an Internet sales tax. Tell the president to veto the Omnibus if it is passed by Congress. Instead, urge the president to cut spending and return to limited government under the Constitution. Phone your representative (202-225-3121) and your two senators (202-224-3121) with the same message. Then, send an email to the president and your representative and senators with the same message. Well, the 2018 Session of the Virginia General Assembly has adjourned sine die. Unfortunately, that doesn’t mean that we have finished our work for the year. A little matter of the $120 billion state budget needs to be resolved before we can officially wrap up our work for the year. In this email I want to update you on some of my work during this Session. In my next email I will update you on some of the other major issues that were debated, and will give you more information on the state of the budget negotiations as we head into overtime. My priorities in Richmond continue to be education, transportation and public safety. This year on the education front, I continued the battle to drop a lifeline to families and children in a handful of localities with failing school systems. In these areas we really need to increase access to charter schools. Unfortunately, that reform effort fell short again this year, again facing opposition from the VEA and others in the education establishment. In the higher education arena, I am deeply concerned by the rapidly rising amount of student debt and the increasing default rate. This year, I introduced SB 568, which overwhelmingly passed, that will require colleges and universities to annually provide to each student a disclosure, listing their total student loan amount, the principle and interest that will be due over the term of the loan, and the monthly repayment amounts. I think it is important for financial aid offices to do more than simply facilitate more and more loans. They should also make sure that the students understand the extent of their repayment obligations and factor that into their academic planning so that they can develop a strategy for repayment of those loans. On other fronts, I have continued to work with victims’ rights advocates to make sure that crime victims receive restitution that is due to them. Currently, there is over $200 million in unpaid restitution obligations and little is being done to help crime victims recover those court ordered payments. Working together with Delegate Rob Bell (R-Albemarle) and with bipartisan cooperation from Senator Janet Howell (D - Reston) and the Northam administration, we secured passage of groundbreaking restitution legislation this year that will help crime victims actually receive restitution payments that are due to them. We also passed legislation requiring DNA samples from persons convicted of certain misdemeanors that the Virginia State Crime Commission determined are predictive of future violent felonious behavior. Legislation like this would have given law enforcement the means to have prevented the murders of two young coeds in Charlottesville over the past few years. You can read more about the DNA bills here and here. Finally, working with the entire General Assembly delegation along the Interstate 81 corridor, with the Secretary of Transportation, Shannon Valentine and with my co-patron Senator Bill Carrico (R-Grayson), I introduced legislation calling on the Virginia Department of Transportation and the Commonwealth Transportation Board to study necessary improvements to Interstate 81 and how to pay for them. The bill specifically calls for VDOT to examine tolling heavy trucks that now constitute a huge percentage of traffic on the interstate. The legislation recognizes the large number of commuters who rely on the interstate to get to and from work from tolls and the importance of protecting them from the burden of tolls. It also asks VDOT to make sure that any tolls that may be imposed on heavy trucks will not have an adverse economic impact on business, agriculture and commerce in the Shenandoah Valley. The study will be completed by January 2019. I will follow this email with two additional reports in the coming days to discuss other major developments during Session and the status of budget negotiations and the Medicaid debate. We head back to Richmond on April 11 as Governor Northam has called a Special Session to work on the budget. The failure to reach a budget agreement during the regular Session was not entirely unexpected. In four of the five previous years when the General Assembly adjourned without a budget agreement, the differences between the House and Senate plans was not just how money was spent, but how much money was spent. This year, there is an enormous gap – over $3 billion – between what the House and Senate budgets spend. The underlying issue, whether or not to implement Obamacare’s Medicaid expansion, has created a gulf between the two spending plans. The Senate plan is based on money the state has, while the House’s plan is dependent upon federal funding from a program the Trump Administration has pledged to end. It is too soon to tell whether this process will take days, weeks, or months. The two most recent budget impasses that were based on large disagreements on revenues and spending lasted until June. I am confident that this divide will be bridged. I will continue to stand in support of a conservative budget that does not increase taxes. The reconvened, or “Veto” session will be April 18 in Richmond. Although the special and veto session will require special trips back to the Capitol, we will be back at home in the district most of the time from now on. You can still email us at mark@markobenshain.com or call us at (540) 437-1451. It is a distinct honor to serve the citizens of the Shenandoah Valley in the Senate. I am grateful for your friendship and confidence and I thank you for allowing me to represent you. A week from now, I hope to be watching the people of Southwestern Pennsylvania proving to all these outside folks who spent millions to buy an election that their money was wasted. I write this to you after having spent some time in Pennsylvania talking to folks about Conor Lamb. This special election on March 13th has attracted a lot of attention. It's amazing how much outside money from the Republicans has poured into Pennsylvania. We're talking about $10 million in negative ads. All paid for by the biggest special interests in America. Do you think the fat cats in Washington are spending that money to elect a Congressman who works for the people in that district? Or do you think they might be spending that money to buy a lawmaker who works for them? Conor has withstood one of the biggest barrages of negative ads anyone has ever seen in a campaign for Congress -- and he's still standing. Now part of that is because he's a Marine. But the other reason he's still standing is because of people like you. The grassroots energy out there is palpable. You can just feel it. The people of Southwestern Pennsylvania are proving one of the oldest rules in politics -- that passion and commitment at the grassroots will beat big money every time. And they're proving one other thing: If you're going to come to Southwestern Pennsylvania and try to steal a congressional seat, you'd better bring more than just money. Because you're going to be in for the fight of your life. I'm going to spend this year going everywhere I can to help more candidates like Conor -- honest, courageous leaders who hold themselves accountable to the people they represent and nobody else. If you're with me, then help me get there by giving $10 or whatever you can today. It all matters. Let me tell you about Conor Lamb for a moment. He's a Marine. He's a former federal prosecutor. This is a guy who knows what it means to be a public servant. He believes we can't just watch a generation of people be lost to the heroin and opioid crisis. He believes in education -- and that we have a responsibility to create jobs you can raise a family on -- whether you get a college degree or not. He knows that Medicare and Social Security aren't entitlements. They are benefits you earned. And a solemn promise we've made. He knows we can't forget that labor and the middle class built this country. He knows we have an obligation to our veterans that extends for the rest of their lives. And he knows that to get anything done, you have to work across the aisle. You have to find common ground. You can't treat compromise as a dirty word. Folks, if you want change, you've got to show up. All the way through November 6 and beyond, I'll be showing up for leaders with character and integrity all around this country. People like Conor. If you're with me, then please give what you can and get on board. In less than a week, on March 13th, I hope to be watching the people of Southwestern Pennsylvania proving to all these outside groups that spent millions to buy an election that their money was wasted. The people of Pennsylvania's 18th district were always going to make this decision. The fat cats weren't. It's time for change, folks. It's time for us to make it.